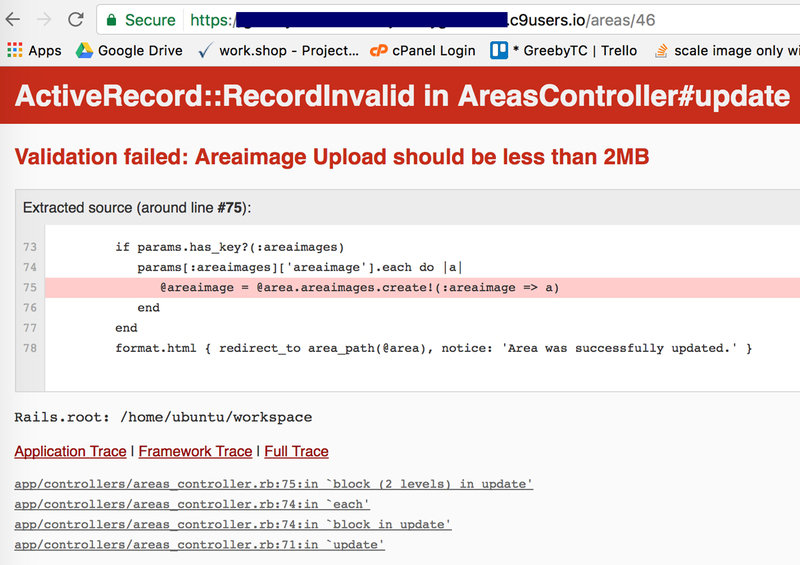 areaimage.rb – AreaImage model – belongs_to :area – I need to be able to upload this on area#edit, and if it fails validation, I need it to display the error message on the area#edit page. 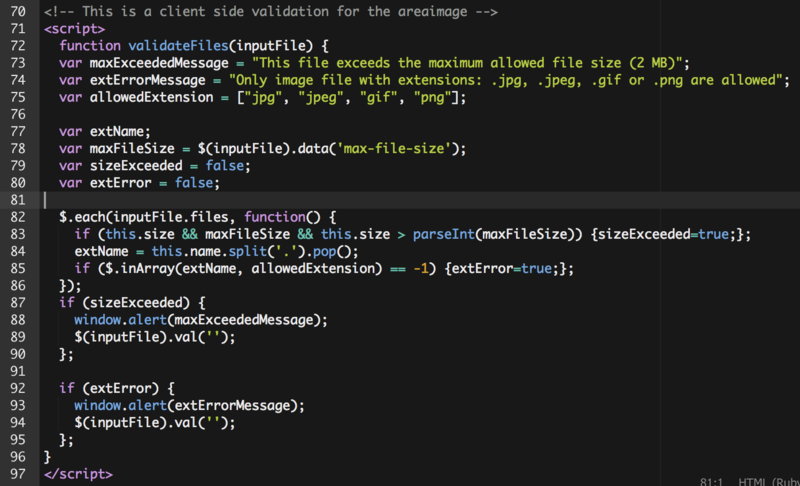 validates_size_of :areaimage, maximum: 2.megabytes, message: "Upload should be less than 2MB"
Here is what I see on the area#edit. You can see the upload field. I included the code from the form. It allows for multiple area_images, although here I am only allowing one. If my upload fails validation, how do I display the error message? *If it fails validation (in production) it pushes you to the 422 page. **In development I can see two validation errors failing currently. – this really needs to say if the params.has_key? (:areaimages) && the key is valid. – I need it to do those two validations. File size and only the permitted file type. If not and it fails validation, I need it to display the information on the new/edit form. This is safe as it is also checked server side so you never upload what can not pass validation. 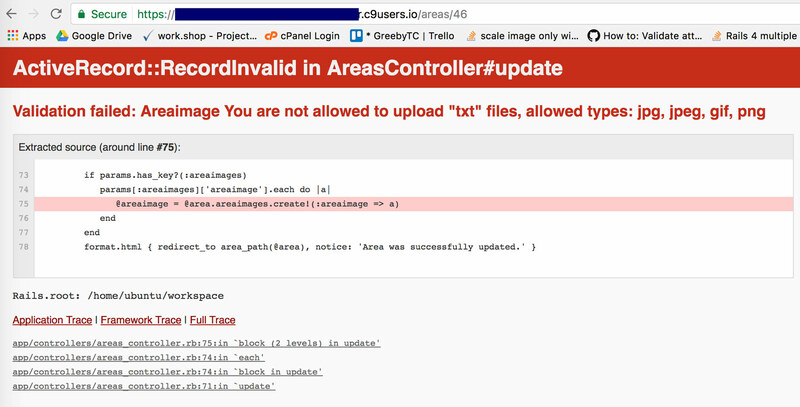 I just couldn’t get the error message to work correctly when the image was too large or the wrong file type. I would still prefer to solve it server side and display the message that way for continuity.